The area immediately around the Coledale Inn is some of the best walking country in the Lake District. Its deep valleys are surrounded by mountains, rising steeply from the valley floors, so height is gained quickly. There are not the crowds of the central fells, but the views are superb. The walking is good, but not dangerous with normal precautions. 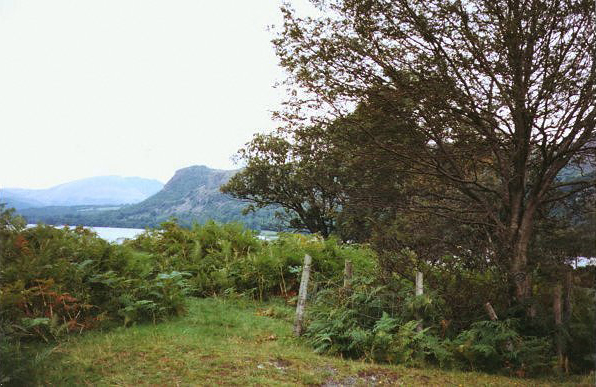 Some fells have steep screes which are dramatic to look at, and which may be safely viewed from the pleasant ridges above. Please note: Weather conditions on the mountains can change rapidly and ridges and summits are likely to be much cooler than the valleys. One should always be properly equipped with boots, warm waterproof clothing, map and compass and the knowledge of how to use them. At the Coledale Inn, we will be happy to advise you in the light of our local knowledge of the area. The old town of Keswick is the hub of the northern Lake District. 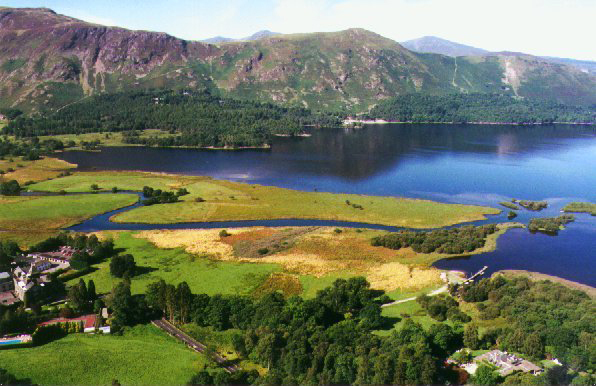 It offers many facilities, including all the usual tourist attractions one would expect in the Lake District, as well as shopping. Not least Keswick now boasts an impressive theatre, the "Theatre by the Lake" which replaced the old "blue box" theatre which stood on the site for many years. This is by the landing stages where one may take a launch round the lake on Keswick Launch, or perhaps stop off on the way for a walk or at our partner hotel by the lake, Mary Mount, for lunch or a cup of tea. The launches sail to a regular timetable and pick up and drop off at various points round the lake. For walkers. 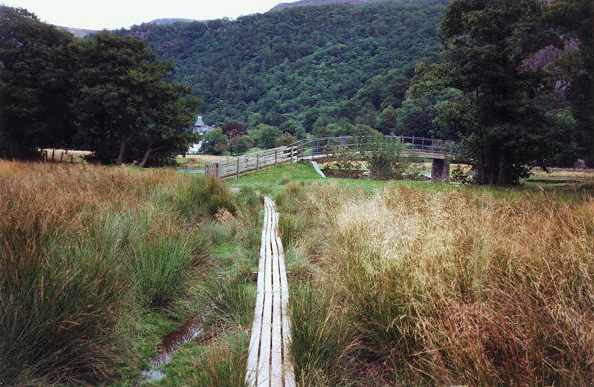 Borrowdale offers many walks of various degrees of difficulty and the upper valley is often used as the starting point for the central fells. The curious Bowder Stone may also be seen. A market town to the north of the Lake District, this is the site of the birthplace of William Wordsworth. Less of a "tourist trap" than Keswick, Cockermouth can offer a flavour of what life is like for the locals who are lucky enough to live and work in the Lake District. A mile or so along the road is the Whinlatter Visitor Centre where one can learn about the life of a forest or try your hand at orienteering. This boasts it is England's only mountain forest. Whinlatter is a great place for walks and there are activities available for kids of all ages. 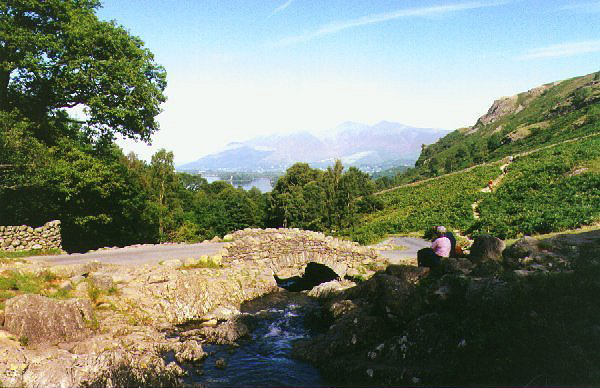 The whole Lake District is readily accessible from Braithwaite, situated as it is just off the A66. The Skiddaw range is not far away, and at 913 metres or 3054 feet, Skiddaw is one of the Lake District's highest mountains, and yet is a not too strenuous climb. Access to the Cumbrian coast is quick and the interesting towns of Maryport and Whitehaven are worth the visit. For the technically minded, the Visitor Centre at Sellafield makes an interesting visit. And while in that area, take a ride on the Ravenglass to Eskdale Railway.